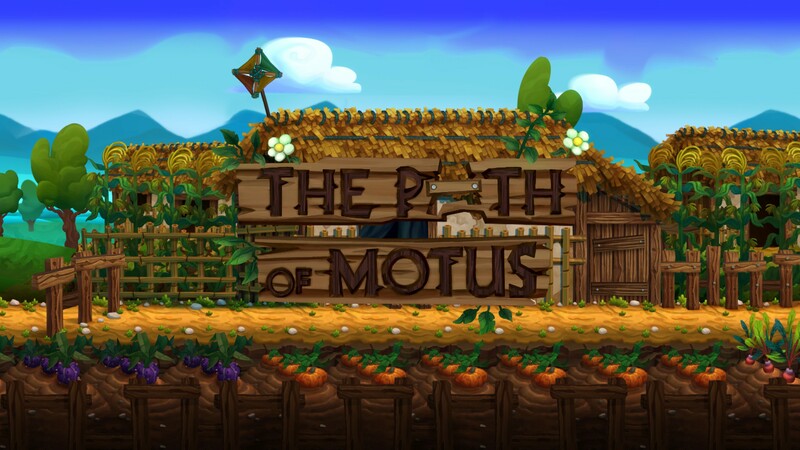 “The Path of Motus“ launched today and we were able to get a closer look at the game. Developed by MichaelArts it was already predictable, that there is some deeper message in the game. But that message was not trying to hide itself well. Michael Hicks is a fierce anti-bullying advocate, so he influenced this game with his idea of social peace and behaviour and how those things can affect your decisions in life. The fact, that there is a deeper intention in this game, already becomes clear in the first minutes of gameplay. To be honest, that was the main reason that initially intrigued me for the game, plus the question how the devs, Michael Hicks and Goncalo Antunes, imagine a 2D game on the games market in 2018. Let’s see how they did that. The game teleports us into the world of the six years old goblin Motus. His world is a quite colourful, but small one. The goblins live in the middle of a big wood and it’s every little goblins dream, to find a way out of the wood. So, it is also Motus dream, to be the first one who makes it through. Motus is a lonely guy, who gets bullied by other goblins. That’s why he has no strong hold to the place where he lives and begins his travel, walking straight into the wood. It’s going to be a long walk for him. There are three big levels divided in childhood, adolescence and adulthood. Of course, the difficulty increases from level to level. Just like everybody experiences it in real life. The whole game is a jump and run adventure. You have to think outside the box to manage the more difficult parts. While you jump and run through this world, Motus has the skill to eliminate other bad goblins, by shouting words (like “hey”,”why” and “yeah”) at them. I do not know, why they have chosen these words for “insults” but, nevertheless, it’s a quite easy way, do get rid of your opponent. 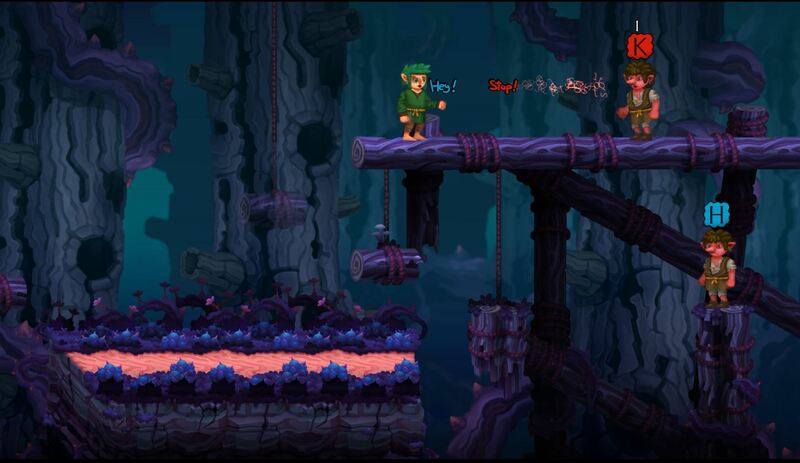 Therefore, there are extra achievements, if you pass the goblins, without defending yourself and dodge from their insults. 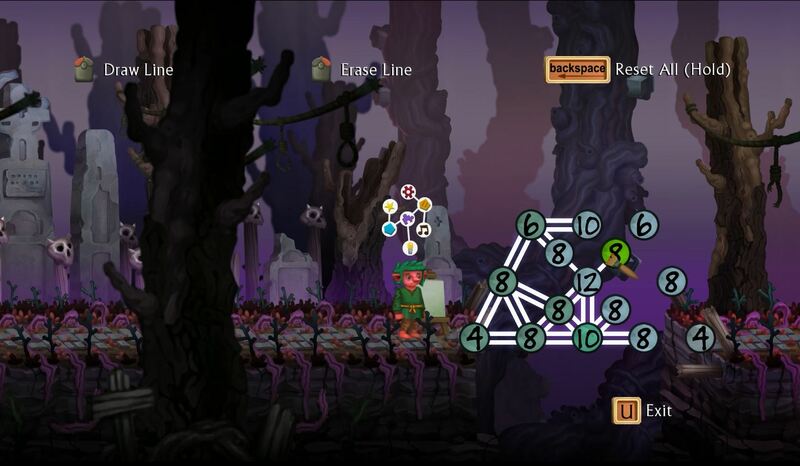 The gameplay also includes some brain training mini games where Motus must build bridges by connecting points in the right order to get over bigger canyons. 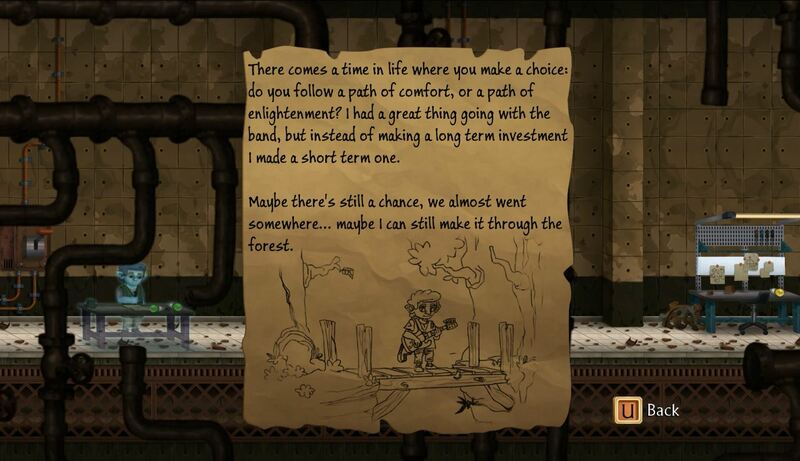 In extracted areas, we find letters, poems and diary entries from Motus. In those, we learn a lot about his inner problems like the question, where his place is in society and what it is, that he has to do, to have the life he ever wanted. From my point of view, those questions and the answers given are really inspiring and make you think. So, he shares his thoughts with us for every step of his life. Whenever he does, there is always the one message: Never give up and follow the dream you have. “Keep on doing” is the slogan of the game. During his journey he seems to be ready to settle down, to stop traveling and not following his dream any longer. But most of the time, he is able to get out of the traps. How and why? That’s something you have to find out on your own. All I can tell you is, that you will miss a lot if you are not going to try this game by yourself. The unique musical atmosphere is just another aspect on the pro list. The music was also composed by Michael Hicks that’s why it is a simple and calm soundtrack, but it fits in perfectly in the little world of goblins. The game is going to appeal to everybody and I could imagine the one or other player will find here a reason, to overthink some general future life decisions. Because of that, one more time a big respect to the developers, who designed this game with nearly nothing and then came up with such an important message. If you would like to support these guys or get some more information and impressions on www.pathofmotus.com.